The ASA was a creation of progressive cooperative effort from several sources including, Carlo Chiti (engine develpment at Ferrari), Bizzarrini (chassis & suspension design while at Ferrari as a test engineer), Bertone (carrozeria), Guigiaro (body designer). Sr. Enzo Ferrari, as head of Ferrari, promoted and approved the initial design and development of the Tipo 854 engine dubbed by the press as "la Ferrarina". Ferrari envisioned producing and selling 1,000 to 1,200 of these cars annually as a means of expanding market share and increasing revenue available to support racing endeavors. Marketing was a problem. Ferrari marketing did not want to diminish the image for Ferrari big car sales in their largest market in the U.S.A. by selling a much smaller less expensive car. Production resources was a problem. With a limited budget stretched by Formula 1 racing, Formula 2, GT sports car world championship pursuit and regular road car production, resources available in Maranello would not allow for Ferrari to produce the smaller car without a huge influx of capital from financing or sale of a portion of the business. Sr. Ferrari envisioned producing 100 of the small cars per week. His management team disagreed with an ambitious launch schedule. They did not want to embark on production without having parts/supplies available to customers and distribution setup first. This conflict in strategy resulted in a mass defection of top management termed by the press as the "palace revolt". Chiti, Bizzarrini and many others left Ferrari as a result of this row. Ferrari was faced with a dilema of limited production capacity which was already allocated to the production of larger cars which were profitable and which provided the funding for the racing efforts. Also, Ferrari could not envision how to market the small car without diminishing their larger production car sales or eroding their market image as the most powerful, fastest production GT cars in the world. Price was a problem. The prospect of a relatively low production car (1200 per year) built by expensive and scarce hand labor would force the "Ferrarina" price up as much more expensive to buy than a comtemporary Porsche (produced in the 1,000s). The "Ferrarina" with smaller engine displacement would have lower slower performance than the Porsche. Ferrari did not want to produce what could be seen in the market as a very expensive "loser". The "Ferrarina" would not be price competitive with Porsche. Performance was a problem. The "Ferrarina" could not compete in performance with the Porsche having much less displacement (1032cc vs Porsche 1600cc). If one were to go racing, rallying or hill climbing in a 1000cc car, losses to Porsche were inevitable. Facing all of these marketing, financing, production, distribution, pricing and performance obstacles along with the mass defection of his top staff, Enzo Ferrari chose to sell the rights to the engine and chassis designs to De Nora. Ferrari was emphatic that following the sale he did not want his name associated with the ASA car or ASA endeavors. There was no further involvement by Ferrari in the ASA after the sale of the design rights to De Nora. Only the chassis and suspension were "designed" by Giotto Bizzarrini circa 1960-1961 while he worked for Ferrari as a test engineer. The engine design was based on the earlier Colombo V-12; however, development of the 854 to the Tipo 173 was by the Ferrari staff engineers under the direction of senior engineer Carlo Chiti. The body of the Mille GT concept car shown at the 1961 Auto Show was commissioned thru Bertone and designed by Giugiaro and was quoted to be made of fiberglass. The initial few bodies (4) fabricated for the Mille GT were produced by Carrozeria Bertone. Subsequent bodies for the ASA 1000 GT production were fabricated in steel by Ellena with aluminum hood and trunk. The 1965 Spider bodies (14 to 23 estimated produced) were fabricated of fiberglass by Corbetta. The design of the Tipo 173 engine was developed by the Ferrari's company engineering staff under the direction of senior engineer Carlo Chiti. Enzo Ferrari was the owner of the company but he was not an engineer and he did not design engines. He collaborated with his engineers on concepts and ideas; however, all of the engines developed by his company Ferrari, Spa. were designed by reknowned engineers such as Colombo, Aurelio Lampredi, Vittorio Jano, Carlo Chiti, etc. Mr. Bizzarrini was a testing engineer doing chasis work at this time for Ferrari. Bizzarrini was not involved in the tipo 854 or tipo 173 engine design or development. Colombo should be credited with the initial design basis; however, the engine was a Ferrari engineering team collaboration directed by Chiti. None of the production ASA 1000 GT cars were produced in fiberglass except for the few spiders. The single prototype Mille by Bertone was reported as made of fiberglass. 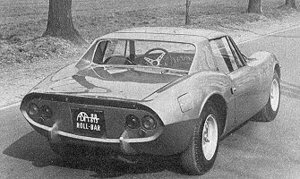 The production 1000 GT berlinettas by Ellena had steel bodies with aluminum trunk and hood. The ASA 1000 spider had a fiberglass body by Corbetta. The limited RB613 produced in 1966 had a fiberglass body with four examples being fabricated. Examination of current photos of ASA 1000 GT coupe bodies in restoration process show steel body fenders with the expected accompanying rust. A few larger four- and six-cylinder vehicles were individually built to order; almost all were prototypes. 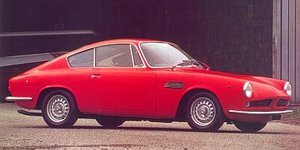 A racing version of the 1000 GT Coupe had 1092 cc and 95 bhp (70 kW); later they featured 105 bhp (78 kW). "Only a few of the cars were made," Estimates vary between 50 and 130 cars produced. Best figures indicate 97 cars completed. To satisfy FIA and homologate for racing in Europe, approximately 104 or 105 chassis were manufactured, but not all chassis were completed as finished cars. One (1) ASA GTC ("competizione or corsa") participated at LeMans (DNF) and other production cars participated in under 1 litre classes and in various hill climbs in Europe. There was no notable racing success with the ASA, with top finishes in the races entered. At the 1966 Geneva Motorshow ASA showed the 'Roll-Bar' or 613 RB. This had a tubular chassis and plastic/composite bodyshell. It was convertible between Spider and Coupe by the removal/addition of a roof panel in the same plastic material. The enine was a 1290cc six-cylinder in-line engine with 124bhp @ 7,000rpm fed by three twin carburettors. A 1755cc (90x69mm) sohc four-cylinder engine (150bhp @ 7,000rpm) was also available, for the US market. A five-speed tansmission was fitted, as were disc brakes on all four wheels. Although only 3 613RB's were built, one competed at Le Mans in 1966. The ASA (Autoconstruzioni Societa per Azioni) 1000 GT was a car Enzo Ferrari never wanted to produce. Not by his factory, at any rate. He would, according to contemporary reports and first hand interviews, develop the car and when he was good and ready, he would sell the rights to someone who had the money and material to produce 3000 units of the baby Ferrari--originally called the "Ferrarina"--and therefore reap the benefits of licensing without having to bother with production. No one is sure why Mr. Ferrari wanted to design and develop a one liter GT, although we might speculate that the Suez oil crisis of 1956--which spawned the Mini, the Isetta, and many other small cars--may have started the ball rolling. During a press conference in 1959, Ferrari unveiled a four cylinder 850cc engine to eager reporters. It was, in fact, one third of a 250GT engine, with a bore of 65 mm and stroke of 64, topped by a SOHC and was notable for the fact it could produce 75 hp at 6800 rpm out of the box--far ahead of the era's competition. Then, according to Bernard Cahier, "...the next thing we knew was that Ferrari had mounted this engine in a short wheelbase, 1200 Fiat with a Pininfarina body.." A little later on, at the 1961 Turin Auto Show, there was a very pretty "Ferrarina" GT sitting on the Bertone stand, complete with a 1000cc engine. Nothing more was said or heard until the summer of 1962, when it was announced that a branch of the Milanese De Nora Electromechanical firm had purchased the design and it would now be called the ASA 1000 GT. And so it was. At least for a brief, glorious period, of about three years. Estimated production was about 118 cars. (An update of the ASA list has just come through from Europe. They list 90 coupes, 17 Spiders, and 11 prototypes known although not all still existing.) Somehow we don't think Enzo got his money out of the venture. Like the Dino 246GT, the ASA was never officially a Ferrari, but a rose by any other name is still a rose, and the ASA is as Ferrari as Ferrari comes, albeit in a small package. The chassis was typical Ferrari tubular, with a solid rear axle, coil springs and anti sway bar. Up front, twin wishbones were controlled by coil springs and sway bar---conventional, Ferrari type stuff. But the ASA also had four wheel disc brakes at a time when Ferrari was still hard pressed to put them on his production cars. A four speed transmission offered great ratios and overdrive. So, what's it like to drive? Ean McDowell, whose car is featured here, wrote a particularly well done article for VeloceToday in early January, and captured the essence of the car quite eloquently. (click here for Night Drive). McDowell, who lives in Melbourne, uses his ASA and is not overly concerned if it is not Pebble Beach ready. His interest started with the purchase of a basket case in the early 90s. "The ASA was pretty sad and missing its motor and in fact had been sold but the deal fell through. I looked at the instruments, the steering wheel, the Borrani wheels, disc brakes and the beautiful miniature Ferrari chassis and decided it was worth looking at for the rest of my life even if it I never drove it." It took another four years of searching for an engine before finding an original car in good condition in Spain. "I was based in Malaysia at the time, and I worked out that I could get to Europe and back in three days. I left work as usual on Friday and caught a flight to Paris. After a harrowing purchasing experience, I flew to Malaysia in time to be at work on Tuedsay morning after a long weekend. In the office, people were saying 'I played a round of golf.... we had a bar-b-que..' When they asked me what I did during the long weekend, I told them I went to Spain and bought a Ferrari". My boss who was not the slightest bit interested in cars (is this the case with all bosses?..Ed) was furious and said 'If I knew you were going to do something as crazy as that I would have come with you'. The De Nora's venture was probably doomed to failure. Mike McCarthy probably got it right when he wrote "...selling a one liter car at Porsche prices, even when designed and developed by Ferrari, was more a way to squander a fortune than to make one." ASA, via NART, entered two 1300 versions at LeMans in 1966 but both retired. As did the ASA factory, by 1967. Rights relased to Wheels Of Italy ONLY! McDowell's car is not a show car, but driven often in a variety of events in Australia. And good for it! The wheels are Borranis--steel centers and aluminum rims.